After dropping the Atlanada project in 2015, hip-hop duo CMDWN Collective follows up with their latest mixtape Ca$tro vs Fiji. The project goes full Mortal Kombat, pairing four tracks by Ca$tro against four tracks by Fiji. Despite the clear juxtaposition between each artists sound, the project still manages to retain a cohesive vibe, largely in part to the duos chemistry. 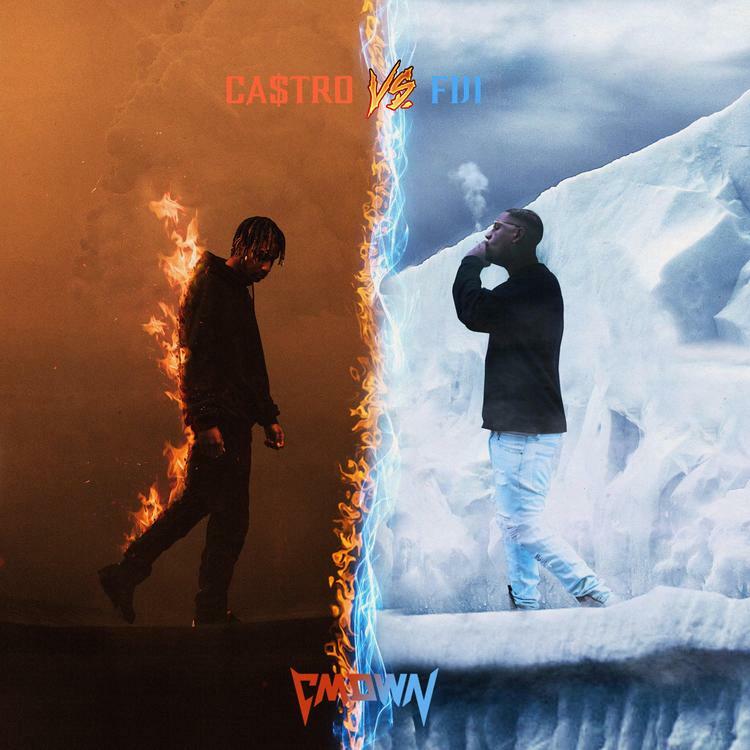 The artwork represents Ca$tro as fire, and Fiji as ice, which is an accurate depiction. The former spits furious rhymes with a strong Southern drawl over hard beats, while the latter takes a more atmospheric approach, singing lamenting melodies over glacial beats.